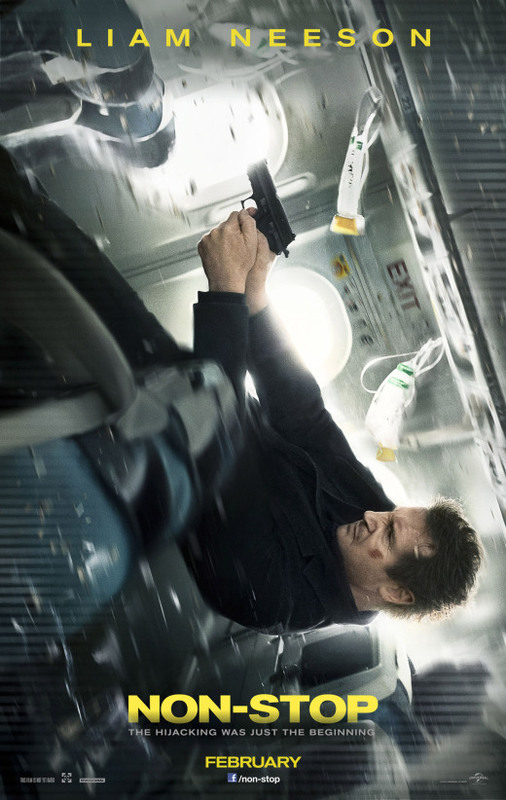 Bill Marks (Liam Neeson from “Taken”) is a divorced alcoholic suffering from extreme bouts of depression – and he is a Federal Air Marshall. He boards a plane with a 6-hour flight time to London and sits by a cute lady named Jen (Julianne Moore from “Don Jon”). He is in first class, so what could go wrong? The airline showing the new “Robo Cop”? Well, something almost as bad. Someone on the plane texts him they will kill a passenger every 20 minutes unless they get $150 million wired to their account. To further complicate things, the account is in Bill’s name, as if he was the perpetrator. Bill says he is being framed, but most people don’t believe him. The drama developed in a compelling way, moving out radially from Bill to everyone else on the plane. Spanish Director Jaume Collet-Serra (“Unknown”) did a great job at ratcheting up the tension and keeping us guessing who was involved. I was so scared, I thought for a while it might have been me. That’s how claustrophobic all this felt. I can’t remember when I last saw a thriller that was thrilling, but this one was. And for that I must give this movie 4 stars out of 5. Let me know if you are as “taken” as I was.